Men and Skincare: Do They Need It? Men are notoriously difficult when it comes to convincing them that skincare works in their favour. Some men who have to live with difficult skin have learned the importance of skincare through personal struggle, but some others (like my fiancé) who are blessed with acne-free skin, never come to realise exactly how much skincare can do for them in the long run. We all know that genetically blessed people can get away with not using any skincare through their twenties, but once they hit their thirties, the changes that happen to their skin finally starts to scare them. I have seen the deterioration in the quality and health of the skin personally, watching my fiancé's skin slowly change before my eyes. The elasticity is the first to go, followed by smoothness and clarity. Sun spots and fine lines start to develop after that, and it just goes downhill from there. With the use of skincare, all this can be avoided. 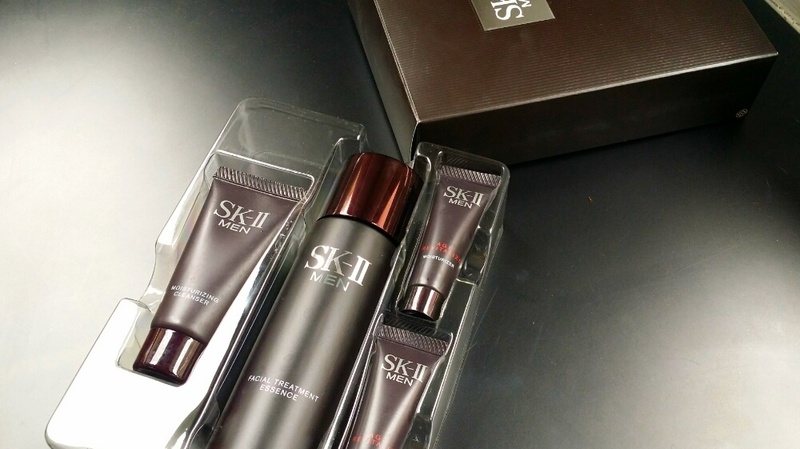 Products like the SK-II Men's Facial Treatment Essence can inject moisture into the skin and slow down the aging process, reducing and slowing any wrinkles and fine lines, flakiness, and dullness in the skin that happens as the skin ages. Thankfully, I caught on early (as did the fiancé's family, whose slight jabs here and there really helped me convince J to start using skincare), and managed to get my hands on a gorgeous men's Pitera Essence Set from SK-II to gift to J for Valentine's Day! I realise that part of the reason why men don't want to use skincare is because skincare is associated with femininity, so having a skincare range specifically targeted towards men really does help. He was actually surprisingly pleased with the set, which contains a full-sized bottle of Men's Facial Treatment Essence and sample sizes of their men's cleanser and moisturiser. So J has been using his new skincare religiously for about a week and a half now, and his skin has taken to it much better than mine initially did [link to SK-II Jan post]. He didn't experience any breakouts at all, and the regimen is simple enough that he doesn't feel like it's too much trouble to go through twice a day. Moisturised skin. A big problem that J had was flaky, dull skin, because he never uses any moisturiser or exfoliator. His new SK-II regime has changed that - his skin is still rough, but the flakiness is gone and his skin feels more plump. Overall, we are extremely happy with the results and J is happy to continue using his skincare (WIN!). I am excited to see further results! 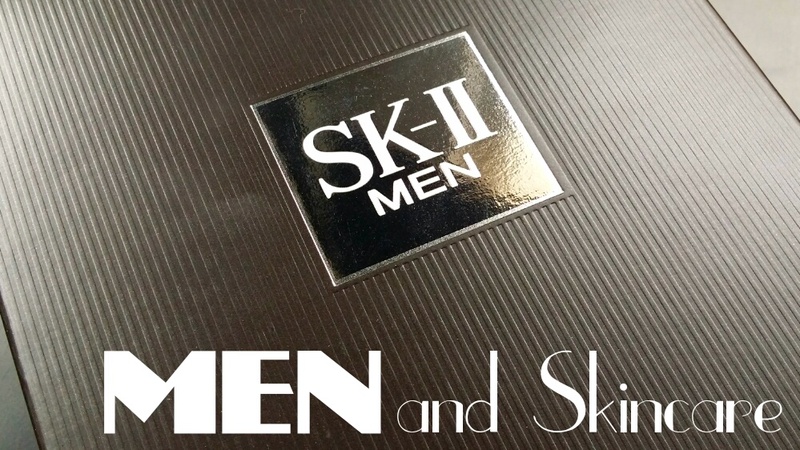 To learn more about the SK-II Men's skincare range, head over to their website and Facebook page.